If there were a tagline for today’s populist moment, it would probably be something like “It’s not the economy, stupid.” Economic factors matter, but they are far from decisive in understanding why populists, especially right-wing populists, have solidified their position as the second largest or even largest parties in many Western democracies. The political scientist Eric Kaufmann, whose recent study drew on various data sources, found a 78 percent correlation “between projected Muslim share [of the population] in 2030, a measure of both the level and rate of change of the Muslim population, and the best national result each country’s populist right has attained.”4 “If we stick to data,” he writes, “the answer is crystal clear. Demography and culture, not economic and political developments, hold the key to understanding the populist moment.”5 Even with provisos about the difference between correlation and causation, the overall picture is striking. There is a deeper shift afoot, however, in Western political systems, away from economic cleavages and toward cultural ones. This emerging primacy of culture is even beginning to reshape what were thought to be resilient or “frozen” party systems. For most of the twentieth century, the fundamental political divide fell along traditional “Left-Right” economic and class lines. But that is no longer the case, as recent election results increasingly make clear. When culture, identity, and (in Europe) religious “gaps” between Muslims and non-Muslims are the new drivers of changing party systems, then left-wing and center-left parties are at a disadvantage before a single vote is cast. The former have focused on economic inequality and the latter on economic management and incremental “nudging” toward better policy outcomes. Across all its different emphases, the Left is preoccupied with quantifiable questions of economic justice, rather than the less measurable matters of cultural identity and religious change. If culture and identity—and the fear of losing either—are the primary drivers of the populist resurgence, then this helps explain why the vast majority of successful populist parties and movements in Europe are of the Right rather than the Left. (Where culture hasn’t predominated, as in Latin American countries during the so-called Pink Tide, left-wing populists have experienced considerable success.6) Mainstream center-right parties, meanwhile, have maintained their ground, but often by meeting the Far Right halfway on reducing immigration, challenging multiculturalism, and embracing (though perhaps in more respectable tones) the notion that Muslim minorities in Europe are a problem to be solved. None of these positions comes—or should come—naturally to anyone who claims to be on the left. But this doesn’t mean that a Left populism is dead on arrival. To be a good populist, whether of the Right or Left variety, requires a different set of starting assumptions about human motivations. In his oft-pilloried 1993 article “The Clash of Civilizations?,” Samuel Huntington wrote, “The great divisions among humankind and the dominating source of conflict will be cultural.”7 Right-wing populists instinctively grasp this point. The Left by contrast, continuing a debt (however remote) to Marxism, tends to view history as a clash of classes—a dominant class that owns and controls the means of production and a subordinate class that does not. At the heart of Marxist thought is historical materialism, which asserts that human civilization and cultural institutions—morality, religion, law—are determined by the structure of economic activity. At some point we decide, sometimes quite consciously, that we are part of a “tribe” of like-minded people, whether along ethnic, ideological, or religious lines. These friends and fellow travelers, in turn, help us understand which kinds of policies we should support. For example, I am a Democrat who is critical of the Democratic Party. The party is my tribe, however imperfect it may be. I have strong opinions on some topics. But on topics I know less about, and which are less central to me, I tend to default to whatever the group consensus is—for example, on climate change, abortion, or the death penalty. It’s not that I don’t care about these topics; I simply do not have the bandwidth, time, resources, or the incentives to develop a truly independent, well-thought-out position that takes into account a diversity of viewpoints. If politics is ultimately about our deepest fears and desires rather than about, say, tax policy or better health care, then what place is there for a Left whose raison d’être will always be tied to improving the economic fortunes of the least fortunate? One answer is to begin to outline an “economics of meaning,” where economic or class critiques are a means to channel anger, create meaning, and build solidarity rather than to implement better policy outcomes (although, of course, policy changes would be good on their own, for moral rather than necessarily electoral reasons). This requires changing standard conceptions of what elections are for and what it means to win. Yet while a jobs guarantee might not be the most compelling proposal in strictly economic terms, it does challenge a narrow and sometimes stifling liberal consensus. The art of politics, in this approach, is to make possible what was once impossible. But if, for the populist, politics is not about “what works,” it also isn’t about building consensus, resolving differences, fostering civility, or many of the other things the center-left and center-right hold dear. Democracy, instead, is about conflict. To be democratic is to embrace conflict as a natural and even healthy feature of political life. These two starting premises—that political cleavages are fundamentally about culture rather than economics and that democratic politics is inherently confrontational—offer a more promising and realistic foundation for leftist politics and specifically for Left populism. With a different account of human nature and human motivation, Mouffe argues that “politics, which always deals with collective identities, is about the constitution of a ‘we’ which requires as its very condition of possibility the demarcation of a ‘they.’”20 These are, for her, confrontations “with no possibility of final reconciliation.”21 But this is not something to lament. We might wish it were otherwise, but this account of human behavior is much more attuned to an emerging politics where the primary—and likely lasting—cleavage is cultural and tribal rather than economic. To recognize conflict as inherent to politics is to accept that no victories and no defeats are truly final, as long as democratic competition leaves open the possibility that alternative ideas and ideologies might garner enough support to undo a previous outcome. Thus Mouffe’s “agonistic” approach liberates the Left to move away from a politics that too often finds itself trapped by the banalities of technocratic problem-solving, such as “helping the middle class” (all Americans like to identify themselves as such) and fetishizing facts in the hope that they might bind all “reasonable” Americans. If it is natural to disagree, perhaps even profoundly so in a pluralistic society, it is because foundational moral and religious differences cannot be papered over by improving people’s material well-being. If anything is universal, it is the desire for something deeper, beyond merely rational politics. That this desire is innate is as impossible to prove as it is to dismiss. But while it cannot be definitively proven, it is everywhere in evidence—in the rise of populist, religious (e.g., Islamist), and identity-based parties across a wide variety of cultures, religions, and levels of economic development, from the United States to Italy, Sweden, and Israel. It is quite unlikely that this is a coincidence. A purely rational, technocratic politics—one that attempts to limit and even separate transcendent meaning from public life—has come at a high price. As Leo Strauss once put it: “Oblivion of eternity, or, in other words, estrangement from man’s deepest desire and therewith from the primary issues, is the price which modern man had to pay, from the very beginning, for attempting to be absolutely sovereign, to become the master and owner of nature, to conquer chance.”22 If the price is as onerous as Strauss suggests, then it comes as little surprise that electorates no longer seem particularly interested in paying it. For those who have lost religion, then, the objective of politics must at some level be the provision of some mix of meaning and identity—not necessarily replacing religion but mimicking its certainty and conviction. Can a Populist Left Restrict Immigration? Populism requires a “we” constituted against a “they.” Mouffe, following Carl Schmitt, argues that the specifically “political” element of politics is constituted by this demarcation. For right-wing populists, the line is both sharper and more explicitly constructed around race and ethnic origin. But in either scenario, the “they” is contingent. Laclau puts forward the notion of an “empty signifier” against which “the people,” in the populist imagination, can define themselves.26 It is empty because the policy content is secondary to the signifier’s ability to unite the “we” against the “they.” The contingency of the “they,” moreover, puts populists in a precarious position of needing to search for enemies. For those on the far right, “unpersons” are inevitably either immigrants or minorities, usually Arab or Muslim, who challenge the religious and cultural homogeneity of the nation. That right-wing populists have already cornered the market on anti-Muslim bigotry means that left-wing populists have little to benefit from doing the same, even if Islamophobia is broadly popular (as it is in a number of European democracies) or where many working-class constituents might welcome it. For Left populism to succeed, it must be sufficiently distinctive, and to do so it must invite disagreement with and even outrage from other parties that claim the populist mantle. For an economics of meaning to succeed—and to elevate economic grievances beyond material needs into something morally coherent—moral consistency is necessary. This moral impulse may depend on many things, but it certainly depends on both refusing and refuting the easy temptations of racial politics. Spain, despite seeing a sixfold increase in the number of immigrants from 2000 to 2009, has stayed relatively resistant to right-wing populism, in part because its main populist party, Podemos, has remained avowedly “pro-immigrant” from the ranks of the opposition.29 There is almost always a demand for populist politics and, more specifically, for someone to blame regarding the disappointments of the status quo. Who exactly to blame, however, is a matter of choice, and those who aspire to channel “the people” can exercise agency in selecting a truly worthy opponent. Podemos has chosen not to blame migrants, and this choice has had an effect on the broader political climate in framing how immigration is discussed. In an era in which cultural divides dominate, right-wing populists have a built-in advantage. Those who emphasize conservatism (in the sense of opposing cultural change) and nationalism (in the sense of skepticism toward immigrants) can point to clear enemies: Muslims, liberal elites, the European Union, and the perception that the latter two are turning a blind eye to the threat of the first. 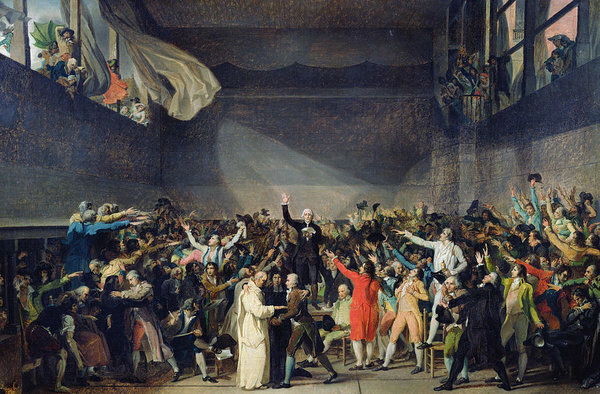 As some leftist critics of Left populism argue, since populism is “inherently cultural” it will always, in a sense, lean right, putting the Left at a permanent disadvantage.32 But if the content of policy is indeed secondary, as a growing body of research suggests, and if populism depends on Laclau’s “empty signifier,” then anyone short of a full-blown, committed racist can (theoretically) be won over. The empty signifier could be readily filled by economic elites, oligarchs, corporations, and the establishment politicians who fall back on civility, consensus, and norms—all things that, while nice in theory, are used in practice to block radical or simply new ideas and proposals. When it comes to policy distractions, the Spanish case is again instructive. The continued salience of regional identities, expressed most powerfully in the 2017 Catalan referendum, introduces a strong alternative cleavage that is not necessarily present in other European countries. A relatively weak social safety net is another factor. As one journalist put it, perhaps somewhat flippantly: “Nobody complains about immigrants being on welfare in Spain, because Spanish government benefits are pretty scant.”34 But there is indeed a trade-off: high levels of immigration (particularly from people who are perceived as culturally different) undermines either support for generous welfare states or for immigration, since people tend want to be generous to people who are “like them.”35 Which one would a Left populist choose? A predominant focus on immigration rather than inclusivity and anti-racism, though, might prove misleading. There is no inherent reason that a Left populism must support higher levels of immigration, since specific immigration levels are always arbitrary, and presumably even the most pro-immigration advocates might conceive of some (again arbitrary) upper limit. Supporting lower immigration levels is not necessarily a sign of bigotry, since every government, no matter how broad-minded, must consider social cohesion, demands on its safety net, and the ability of its economy to absorb, say, hundreds of thousands of new potential workers. Where welfare benefits are more generous and populations are smaller, trust and confidence in one’s fellow citizens takes greater priority, and that trust and confidence cannot be built overnight. At the same time, a Left populism must be populist. Populists, more so than center-right and center-left parties, accent the popular element of popular sovereignty. A greater level of democratic responsiveness thus lies at the heart of every populist project. Such an emphasis may mean taking into account public discomfort with “high” levels of immigration, slowing the pace of immigration accordingly, and prioritizing integration. This effort may be in tension with ideal conceptions of justice, but Left populism’s duty to be anti-racist should be distinguished from determinations on levels of immigration. Here, the distinction between the treatment of citizens and noncitizens—one that good leftists are increasingly uncomfortable acknowledging—is critical. Would-be immigrants do not have the same legal and constitutional rights as American, French, or Spanish citizens. Within a country’s own borders and when it comes to those who are already citizens, however, a Left populism can and must uphold an unequivocal anti-racism and a moral commitment to equality before the law. No particular set of factors, of course, can guarantee a strong electoral showing for Left populists, especially where they are still establishing themselves and forging their ideological identity as young movements. Balancing ideological objectives with electoral compromises has long bedeviled parties of the Left, or any movement straddling “reform” and “revolution.”36 Finding the right balance depends not just on improvisation or trial and error but also on strong, charismatic leaders who can withstand the criticism that comes from acknowledging trade-offs on sensitive issues like immigration (Bernie Sanders has attempted as much, criticizing the “open borders” approach as several steps too far). It might be tempting to say that Left populists simply need a “hero”; the Left, unlike the Right, has lacked larger-than-life figures for decades. But what they need more than that is to imagine themselves winning—in the sense of successfully defining a political “we”—and construct a platform accordingly. The challenge for left-wing populists lies in developing a coherent ideology that embraces the “economics of meaning” without reverting to a failed orthodoxy. In recent decades, the strategy of the technocratic Left has been to separate economics from meaning and to divorce policy from politics. But this strategy increasingly yields diminishing returns, since debates over economics are always about more than simply improving material outcomes. It is also disingenuous: the technocratic consensus never transcended the fundamental, agonistic realities of politics; it simply refused to acknowledge them. The task for Left populist movements is to do the opposite. If they can reconnect economics with meaning and successfully reinterpret economic questions as fundamentally moral rather than material, they can reshape, perhaps decisively, how Western democracies think and talk not just about economic justice but about culture, identity, and demography. 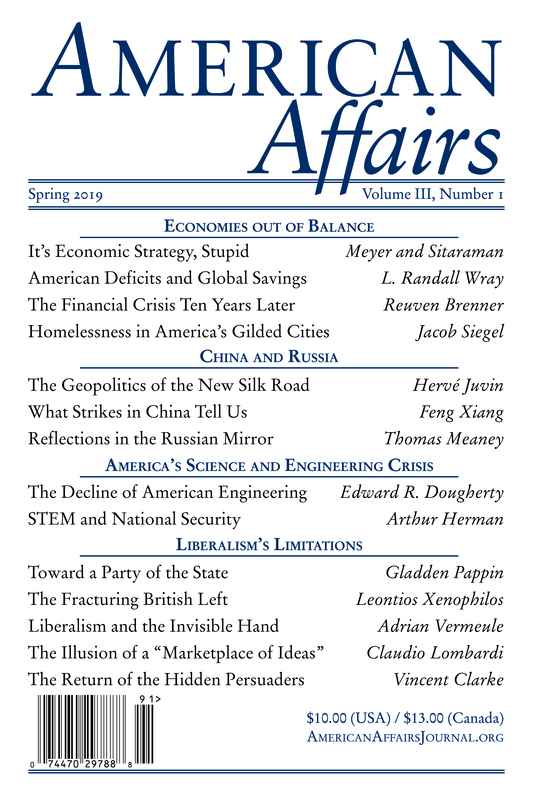 This article originally appeared in American Affairs Volume II, Number 4 (Winter 2018): 187–201. 2 Anthony Wells, “YouGov Data Reveals What Europeans Think Are the Most Important Issues Facing the EU,” YouGov (website), May 11, 2018. 3 Olivier Roy, “Populism in Europe and the United States: Religion and Nationalism in Comparative Perspective” (lecture, Brookings Institution, Washington D.C., May 29, 2018). 4 Eric Kaufmann, “Why the Fear of Islamization Is Driving Populist Right Support, and What to Do about It,” British Politics and Policy (blog), London School of Economics, March 16, 2017. 5 Eric Kaufmann, Whiteshift: Populism, Immigration and the Future of White Majorities (London: Allen Lane, 2018), 7. 6 For more on the successes and failures of the Pink Tide, see René Rojas, “The Latin American Left’s Shifting Tides,” Catalyst 2, no. 2 (Summer 2018). 7 Samuel P. Huntington, “The Clash of Civilizations?,” Foreign Affairs 72, no. 3 (Summer 1993): 22–49. 8 Christopher H. Achen and Larry M. Bartels, Democracy for Realists: Why Elections Do Not Produce Responsive Government, with a new afterword (Princeton: Princeton University Press, 2017), 232. 10 Benjamin L. McKean, “Is It Possible to Have Populism without Racism?,” Monkey Cage (blog), Washington Post, May 18, 2016. 11 Anton Jäger, “On the Front Lines of the Populism Wars,” Jacobin, June 8, 2018. 12 Mathieu Desan and Michael A. McCarthy, “A Time to Be Bold,” Jacobin, July 31, 2018. 13 Michael Freeden, “Is Nationalism a Distinct Ideology?,” Political Studies 46, no. 4 (September 1998): 750. 14 Jackie Calmes, “Left-Leaning Economists Question Cost of Bernie Sanders’s Plans,” New York Times, Feb. 15, 2016. 17 Pablo Iglesias, “Spain on Edge,” New Left Review no. 93 (May–June 2015): 27. 18 Chantal Mouffe, The Democratic Paradox (London: Verso, 2009), 93. 19 Chantal Mouffe, Agonistics: Thinking the World Politically (London: Verso, 2013), 2–3. 22 Leo Strauss, “What Is Political Philosophy?,” in An Introduction to Political Philosophy: Ten Essays (Detroit: Wayne State University Press, 1989), 55. 23 Francis Fukuyama, “The End of History?,” National Interest 16 (Summer 1989): 18. 24 Francis Fukuyama, The End of History and the Last Man (New York: Avon, 1992), 307. 25 For why Christianity, unlike Islam, was unable to mount an effective bid against secularization, see Shadi Hamid, Islamic Exceptionalism: How the Struggle over Islam Is Reshaping the World (New York: St. Martin’s, 2016), 38–67. 26 Ernesto Laclau, On Populist Reason (London: Verso, 2005). 27 The Syriza-led government that was formed in 2015 initially implemented a radically lenient immigration policy, but has since had to adopt a tougher stance due to external circumstances (namely, the signing of the EU-Turkey Statement in 2016). See Dimitris Skleparis, “The Greek Response to the Migration Challenge: 2015–2017,” Konrad Adenauer Stiftung, March 16, 2017. 28 “Greece: SYRIZA’s 40-Point Program,” Links: International Journal of Socialist Renewal, May 27, 2012. 29 Tom Worden, “Spain Sees Sixfold Increase in Immigrants over Decade,” Guardian, Feb. 8, 2010. 30 Slavoj Žižek, “Against the Populist Temptation,” Critical Inquiry 32, no. 3 (Spring 2006): 7. 31 Nick Sitter, “Cleavages, Party Strategy and Party System Change in Europe, East and West,” Perspectives on European Politics and Society 3, no. 3 (2002): 448. 32 See Jacob Hamburger, “Can There be a Left Populism?,” Jacobin, March 29, 2018. 33 Adam Przeworski and John Sprague, Paper Stones: A History of Electoral Socialism (Chicago: University of Chicago Press, 1986), 10–11. 34 Lauren Frayer, “Unlike Elsewhere in Europe, the Far Right in Spain Stays on the Fringe,” Morning Edition, NPR, March 16, 2017. 35 For more on the trade-offs between welfare provision and low-skill immigration, see Reihan Salam, “Where Alexandria Ocasio-Cortez Parts Ways with Bernie Sanders,” Atlantic, June 28, 2018. See also Reihan Salam, Melting Pot or Civil War? A Son of Immigrants Makes the Case against Open Borders (New York: Sentinel, 2018).